This one's for all the proud food nerds out there—all the gadget geeks and culinary eggheads hoping to get a sweet haul out of the gift-receiving season. If you're one of them, pass this link around as a gentle hint to your good friends and most generous dearest family. If you're not that kind of cook, but you know someone who loves experimenting in the kitchen, a budding food scientist, or anyone who's ever uttered the phrase "sodium citrate" or "xanthan gum" outside the context of reading an ingredient list on a food package, the selection of items below is sure to give you some helpful inspiration. It's true that most of them aren't exactly cheap, but don't forget that a sous vide circulator in the hands of a friend isn't just a gift—it's an investment. An investment that'll return moist and tender chicken breast and incredible deep-fried sous vide turkey porchetta right to your mouth, if you play your cards right. These are the gifts that prove the Arthur C. Clarke maxim: "Any sufficiently advanced technology is indistinguishable from magic." Magic, I tell ya! If you've got someone on your shopping list who's always nattering on about the temperature gradient in their steak, this is the perfect gift, since sous vide is the best way to ensure a piece of meat that's consistently cooked from edge to edge. But your giftee doesn't have to be a red-meat aficionado to appreciate the thing. It excels at producing medium-rare duck breast, intensely carrot-y carrots, confit (recipe coming soon! ), and juicy pork chops (proceed with caution on those sous vide desserts, though). Whoever receives it will harbor warm (~130°F) feelings toward you in their heart forever (no more than ~1–4 hours recommended, though; after that, the denatured proteins will produce a weepy mess). A powerful blender isn't just for geeks, of course, but the scientifically inclined tend to prize efficiency, and there's no more efficient route to luxuriously silky purées and smoothies than one of these guys. The Vitamix performed the best in our tests of high-end blenders. That enormous price point comes with enormous responsibility, but the trade-off is that the Vitamix will blitz up pretty much anything your gift recipient commands it to. Plus, it can mill grains and make smooth butters out of nuts, and it's crucial for culinary marvels like Daniel's uncanny vegan carbonara recipe. Granted, pressure-cooking isn't quite cutting-edge technology—pressure cookers were old when Mendeleev was young—but it's still pretty rad, and people have a lot of fun geeking out over how it works. It's also just straight-up useful to own a vessel that can cook foods at temperatures above the boiling point, producing typically long-cooking dishes, like stews, soups, and risottos, in half the time. Our recommended countertop pressure cooker is the Breville, although, as anyone who hangs out in cooking-oriented social media circles probably knows, people across this fair land love the Instant Pot, which gets our seal of approval, too. If the person you're buying stuff for has a tiny kitchen with limited counter space, a stovetop pressure cooker is a good alternative—we recommend both the Kuhn Rikon and this Presto (which I myself own and love). We've got a slew of pressure cooker recipes to get your giftee started; I find mine especially useful for stock and quick-cooking beans. 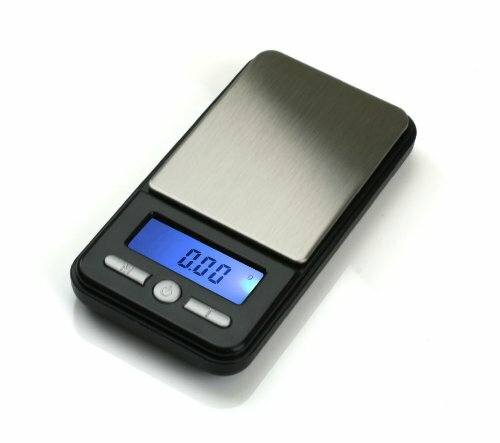 No kitchen without a basic digital scale can truly be called well equipped. In baking, measuring by weight is of the utmost importance if you want to ensure your recipe works out correctly. 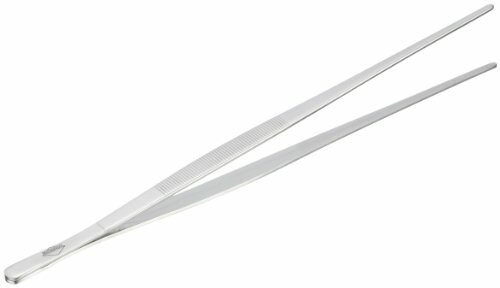 That starts to get harder when you're dealing with light powders in very small quantities, as most scales can't accurately measure amounts of less than a few grams—for those purposes, we generally recommend using teaspoons. But that sort of approximation won't cut it in the modernist kitchen, where, say, the amount of hydrocolloid used to bind an emulsion has to be as precise as possible to guarantee the proper result. If that's the sort of thing your gift recipient is into, they'll definitely be into this micro scale, which is accurate to the hundredth of a gram.